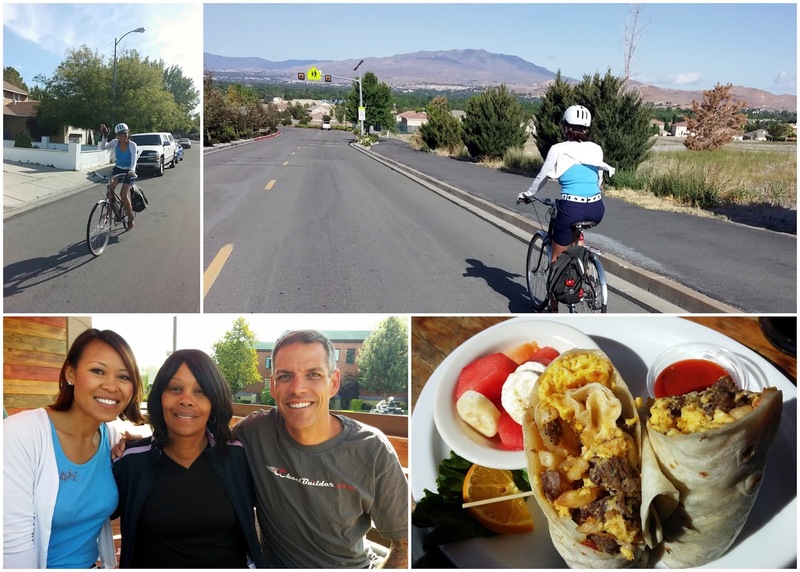 As if Bike to Work, School & Fun week wasn't exciting enough, to finish the weekend by having brunch with family and happy hour with friends was simply icing on the cake! Sunday morning my husband and I rode our commuter bikes to breakfast at Brewer's Cabinet. I think this is the third weekend in a row we've dined there? But I like the patio and the staff is nice and their sausages are bigger than my ring finger! Aheam--I meant the link sausages served with breakfast. This is a video of me going downhill. Yay...exciting right? ;-) It sure was fun to go fast and feel the wind play with my hair! 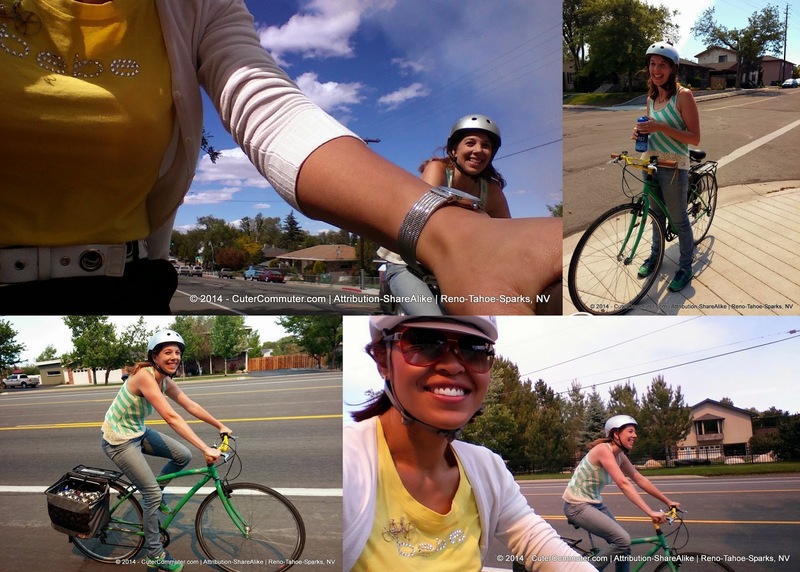 We rode through the residential streets of the city of Sparks. 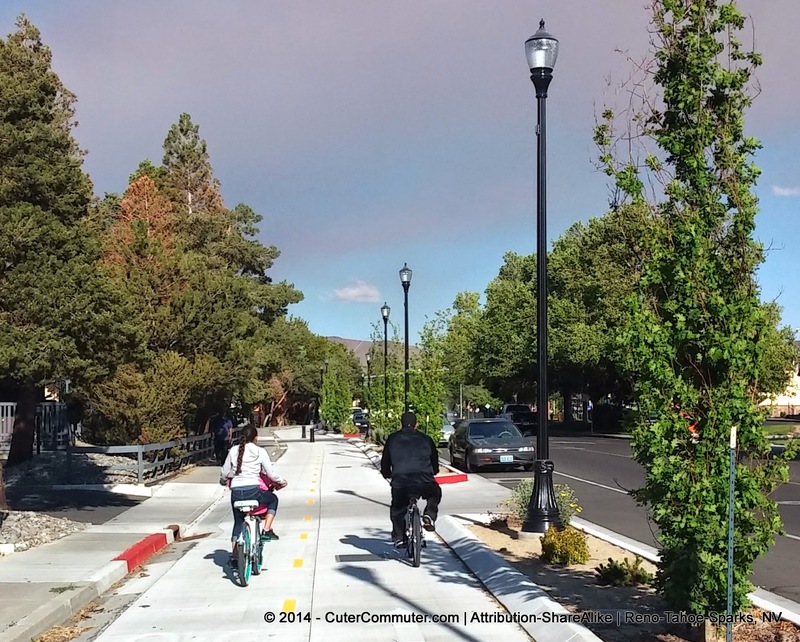 It's a great route because there is little traffic and the speed limit is low. OMG, are you sure can you handle another video with so much excitement?!? I am being sarcastic, LOL. Eventually we were in downtown Reno where met family who were in town for the University commencement. Looks like I got caught with helmet hair in this photo. Can you forgive me? My husband did not feel like riding to breakfast and when he finally came around we ran a few minutes late so we were pounding the pedals as we got closer to downtown. I like riding hard but that means accumulation of sweat under my helmet and helmet hair. Note to self: bring a cute cap! Later that afternoon I head downtown again because I had organized a social gathering of women for Happy Hour. 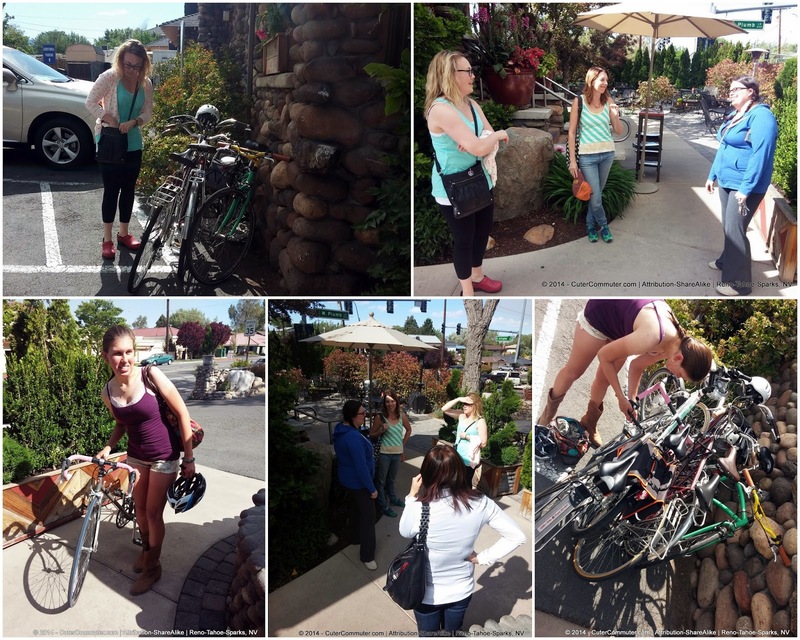 It is called the Women's Bike to Brunch but in this case it was lunch and dinner (or should I say 'linner')? One of the six women who would be attending's name was Ilsa, whom I met up with in Old Southwest Reno. She is 6 mos. new to Reno and since I had never met her before Sunday, it was really fantastic to meet her for an easy bike ride before we grab some food!! 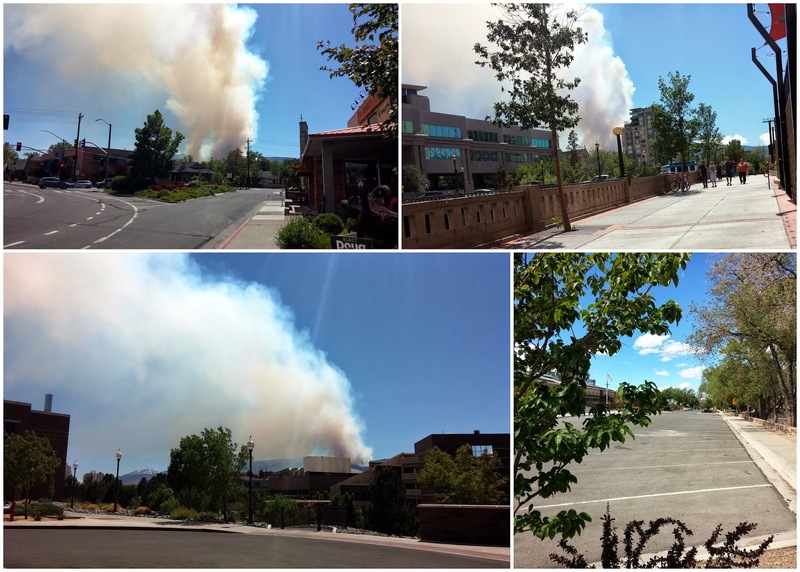 It was a little breezy but still gorgeous weather and a fire was burning in Hunter Lake west of Reno. Still it was warmer than the first Women's Bike to Brunch. I was really grateful to have one-on-one time with Ilsa and getting to know her and I had a lot of fun riding and chatting a long the way. Ilsa is a long time transportation cyclist. She also has a road bike but like me, prefers a happy pace and riding for the social aspect. She is certainly a Cuter Commuter, right down to her shoes isn't she?! 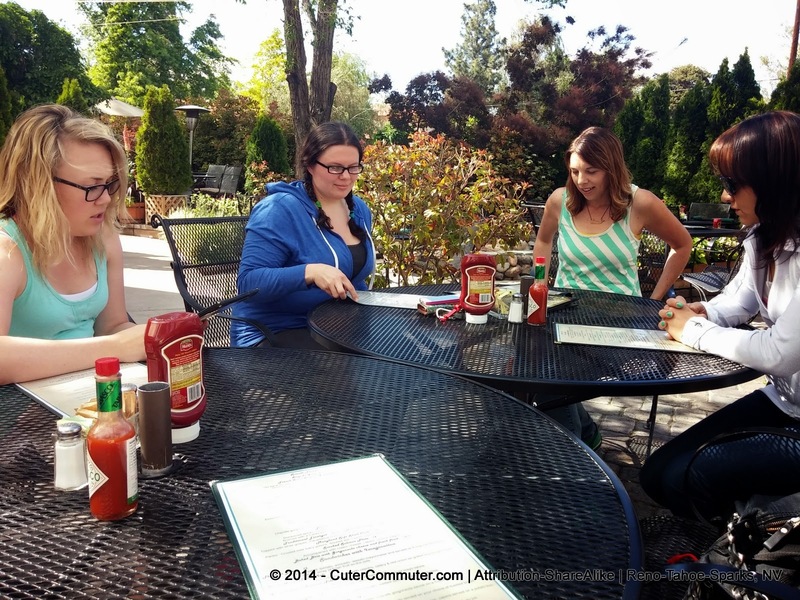 We concluded our joy ride back at the restaurant where we would meet all of the other women. 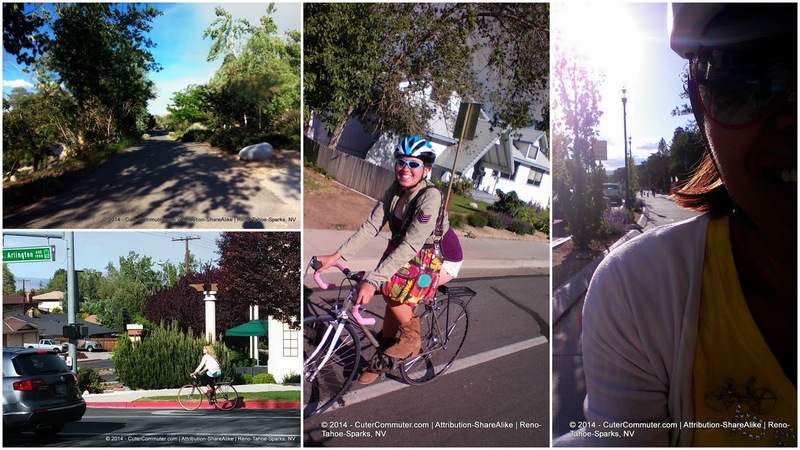 All of them I had met since moving to Reno through my job and through bicycling organizations. In our group we have someone who is a data warehouse admin, a nutrition programs professional, a V.I.S.T.A (Volunteer in Service to America), an executive assistant, independent consultant/web designer, and a business analyst. 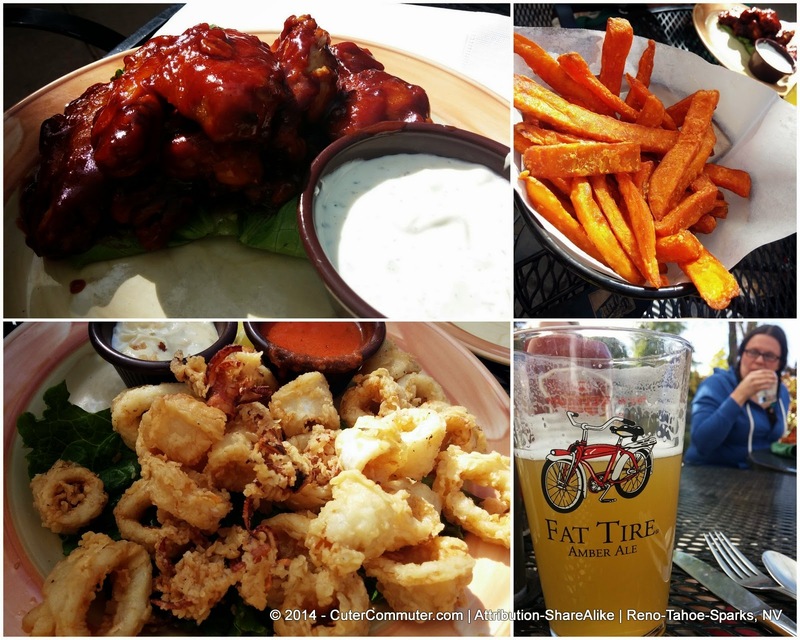 We sat on the patio and ordered BBQ wings, chicken vegetable pot stickers, sweet potato fries with cajon aioli, and calamari with lemon aioli and marina sauce. I was THRILLED to know two other people at the table likes to eat calamari tentacles because so do I!! We were there for about an hour. It is never enough time together but that means we can look forward to the next time we can meet again. Then it was time for each of us to go our separate ways. Back on the Truckee Meadows River Trail towards Sparks, NV for me. 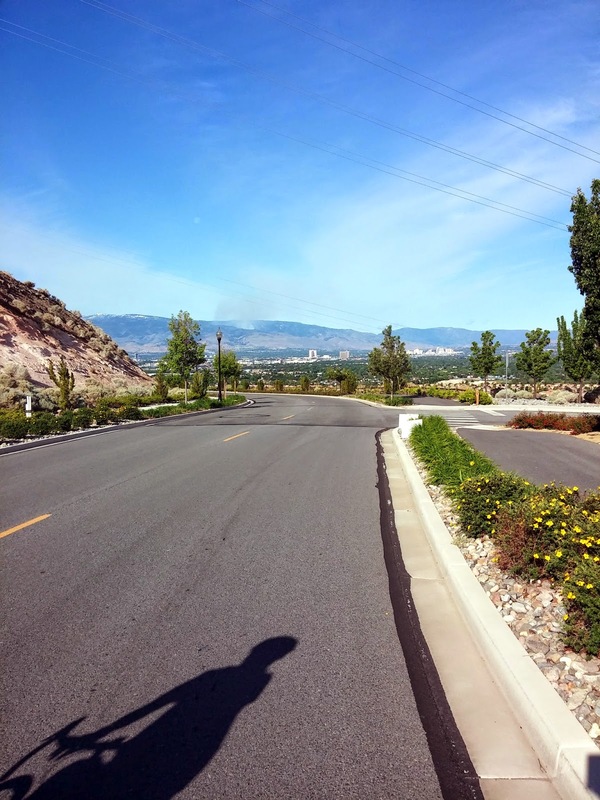 I enjoy the ride but I must admit that it would be nicer to live closer to my friends or have someone to bike with when I am traveling between Sparks and Reno. The breeze seems to have died down and since the sun was still out, it was a beautiful evening. 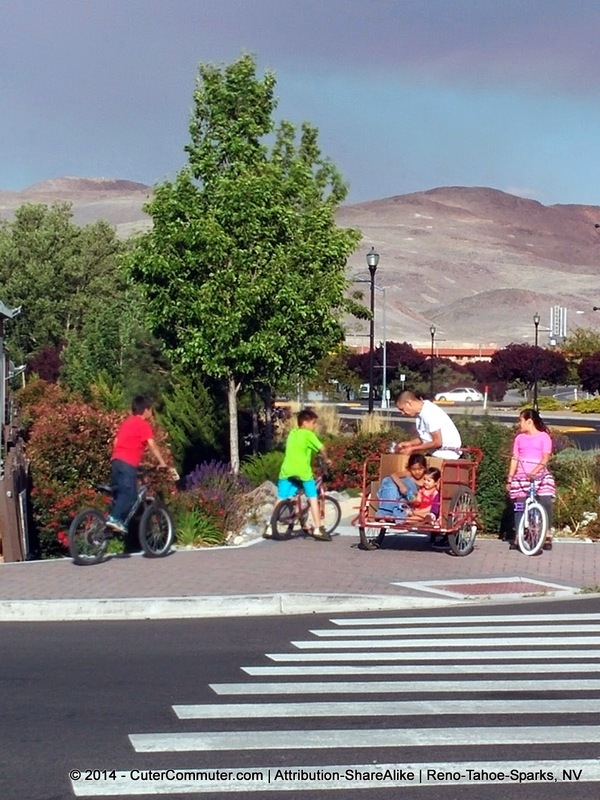 It is so nice to see other families outside riding their bikes! It's two gals, one in Chicago and one in Nashville. Both into fashion and bike brunches with the girls. I think it should be just your type of thing. Thanks Andy!! I appreciate the link very much. 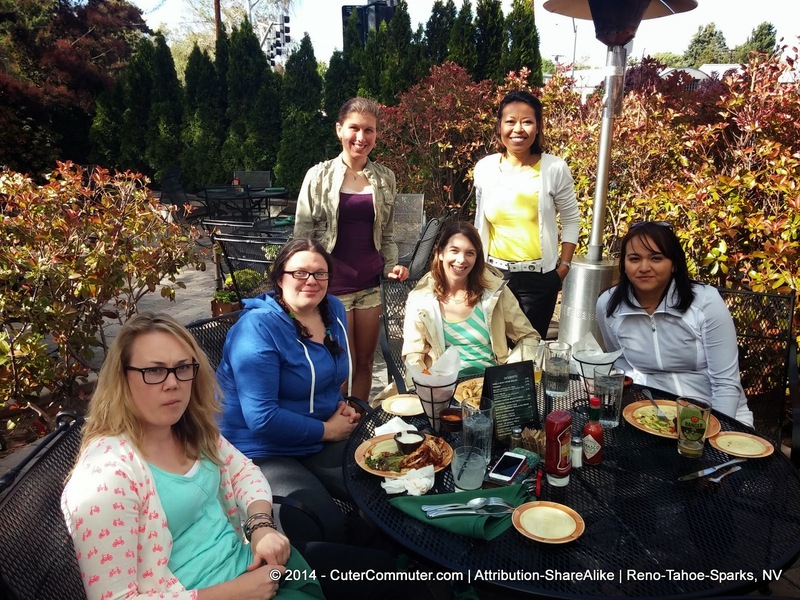 If we did a brunch ride for men and women, do you think people would join in? Good to see you at the meeting! !